This entry was posted in bias, biased, Bradley, Hannah (Pete Cohen), censor, censors, censored, censoring, censorship, critique, critiques, critiqued, critiquing, humor, comedy, research, Richard A. Jaffe, Stanislaw Rajmund Burzynski, The Skeptics, USA TODAY and tagged "Abra Hall", "attend to patients as needed", "big institutions", "Burzynski patients", "Burzynski’s patients“, "Burzynski’s staff", "Check Your Facts Please", "Children's Oncology Group", "clintrials . 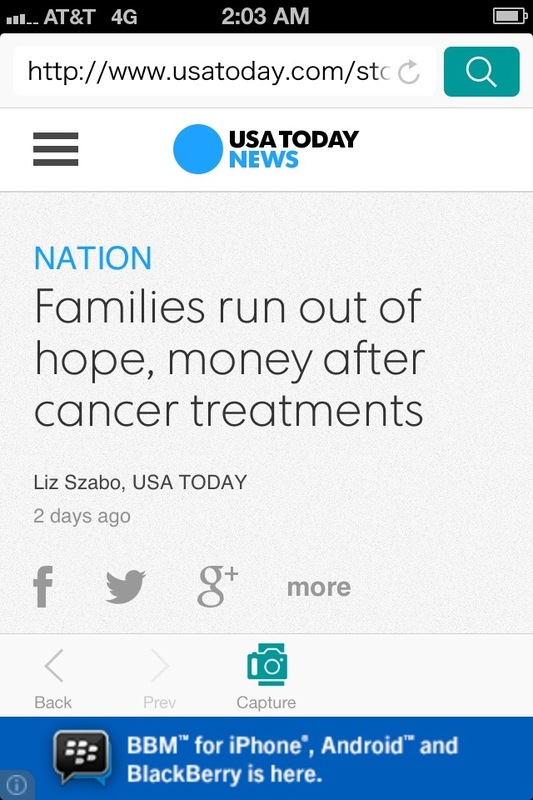 gov" http://clinicaltrials.gov/ct2/results?term=antineoplastons&Search=Search, "co-pay", "Critiquing: Doctor accused of selling false hope to families (USA TODAY NEWS, "Critiquing: Experts dismiss doctor’s cancer claims (USA TODAY NEWS, "Critiquing: Families run out of hope, "Dan Mangan", "deal with it", "Didymus Judas Thomas’ Hipocritical Oath Blog", "director of the pediatric intensive care unit at Texas Children’s Hospital", "Don’t quit your day jobs", "Dr. Graf", "drug overdoses" https://www.documentcloud.org/documents/817441-fda-march-inspection-of-burzynski-principal.htm, "Experts dismiss doctor’s cancer claim", "Fact-Checked", "Failed to report", "Families run out of hope, "FDA inspections", "Hack Piece", "Hannah Bradley", "Hannah’s Anectdote", "Harvard study" shows, "health care”, "health insurance“, "health-care-related bills", "hit piece", "How Many Americans Go Bankrupt Due to Medical Purposes Each Year? 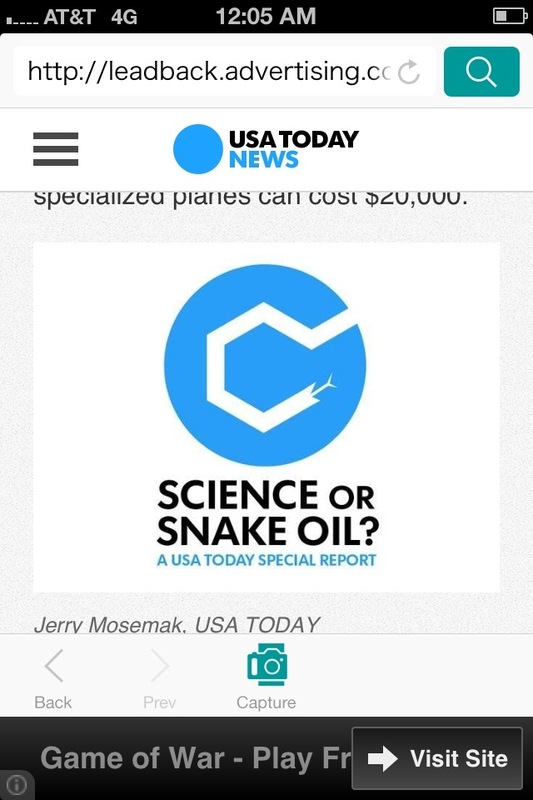 ", "informed consent", "Intensive care", "James Hirby", "Jeanine Graf", "Jerry Mosemak", "Komen Race for the Cure", "LESS THAN 0.15%", "Lisa Merritt", "Long-term", "Medical Bills Are the Biggest Cause of US Bankruptcies", "medical bills“ “health insurance", "Michael Stravato", "No assurance", "No medical training", "Nowhere close", "official trial", "Original records", "out of pocket expenses", "Partial clinical hold" https://www.documentcloud.org/documents/817439-burzynski-sec-annual-filing-may-2013.html, "pediatric physician Jeanine Graf", "Pete Cohen", "Physician Jeanine Graf", "Race for the Cure", "Rise Above Cancer", "Robert Hanashiro", "Serious Harm", "Susan G. Komen", "The Law Dictionary staff", "treated more than 8, "Unanticipated problems", "USA TODAY NEWS, "USA TODAY", "War on Cancer", "Wayne Merritt", "Written response", #FAILED, #RiseAboveCancer, /http://www.usatoday.com/story/news/nation/2013/11/15/stanislaw-burzynski-cancer-controversy/2994561, 000 patients since 1977.”, 1998 https://documentcloud.org/documents/815603-2002-fda-letter-to-burzynski.htm, 222, @danpostman, According, admitting, adults, advised, affect, after, against, airfare, ambulance, anticipated, approved, article, articles, attending, average, “Burzynski’s attorney", “more than 8, “not the treating physician of the clinic’s patients”, Bankruptcies, bankruptcy, become, before, believe, bias, Biased, bills, breathe, broke, Burzynski Clinic, Burzynski patient“, Burzynski’s patient“, Cancer, care, carrying, cause, censor, Censored, censoring, censors, Censorship, Charged, charitable, CHILDREN, Claim, clear, clinic, Clinical, close, closest, CNBC, consent, containing, contains, continues, continuing, CURE, DATA, debt, debts, decades, deductibles, describing, Despite, deteriorate, didymusjudasthomas, discovered, divided, Doctor, doctors, dozen, Dr. Stanislaw R. Burzynski, Dropped, drown, drug, emergency, equals, estimates, everything, expensive, experience, eyes, Facebook, families, FDA inspections https://documentcloud.org/documents/817441-fda-march-inspection-of-burzynski-principal.htm, file, filings, final, first, following, generate, guarantee, harm, Harvard, health, hold, hospital, Hospitalized, hotel, hotels, households, Houston, http://braintumour.ca/, http://braintumour.ca/1649/, http://braintumour.ca/1649/ask-the-expert-psuedo-progression-gbm, http://cancer.gov/, http://cancer.gov/dictionary?cdrid=45858, http://childrensoncologygroup.org/, http://clinicaltrials.gov/, http://clinicaltrials.gov/ct2/, http://cnbc.com/id/100840148, http://gofundme.com/, http://gofundme.com/AbraCancerFund, http://m.cancer.gov/, http://m.cancer.gov/dictionary?cdrid=45858, http://m.nydailynews.com/, http://m.nydailynews.com/1.1034309, http://nydailynews.com/, http://nydailynews.com/1.1034309, http://reg.tmb.state.tx.us/, http://reg.tmb.state.tx.us/OnLineVerif/, http://reg.tmb.state.tx.us/OnLineVerif/Phys_ReportVerif.asp?ID_NUM=49851&Type=LP&LicensePermit=D9377, https://stanislawrajmundburzynski.wordpress.com/2013/11/16/httpwww-usatoday-comstorynewsnation20131115stanislaw-burzynski-cancer-controversy2994561/, https://stanislawrajmundburzynski.wordpress.com/2013/11/17/httpwww-usatoday-comstorynewsnation20131115jeanine-graf-cancer-children2994675/, http://thelawdictionary.org/, http://thelawdictionary.org/article/, http://thelawdictionary.org/article/how-many-americans-go-bankrupt-due-to-medical-purposes-each-year/, http://usatoday.com/story/, http://usatoday.com/story/news/, http://usatoday.com/story/news/nation/, http://usatoday.com/story/news/nation/2013/11/15/, http://usatoday.com/story/news/nation/2013/11/15/burzynski-cancer-science/, http://usatoday.com/story/news/nation/2013/11/15/burzynski-cancer-science/2994731/, http://usatoday.com/story/news/nation/2013/11/15/jeanine-graf-cancer-children/, http://usatoday.com/story/news/nation/2013/11/15/jeanine-graf-cancer-children/2994675/, http://usatoday.com/story/news/nation/2013/11/15/stanislaw-burzynski-cancer-controversy/, http://usatoday.com/story/news/nation/2013/11/15/stanislaw-burzynski-cancer-controversy/2994561/, http://www.braintumour.ca/, http://www.braintumour.ca/1649/, http://www.braintumour.ca/1649/ask-the-expert-psuedo-progression-gbm, http://www.childrensoncologygroup.org/, http://www.cnbc.com/id/100840148, http://www.gofundme.com/, http://www.gofundme.com/AbraCancerFund, http://www.usatoday.com/story/, http://www.usatoday.com/story/news/, http://www.usatoday.com/story/news/nation/, http://www.usatoday.com/story/news/nation/2013/11/15/, http://www.usatoday.com/story/news/nation/2013/11/15/burzynski-cancer-science/, http://www.usatoday.com/story/news/nation/2013/11/15/burzynski-cancer-science/2994731/, http://www.usatoday.com/story/news/nation/2013/11/15/jeanine-graf-cancer-children/, http://www.usatoday.com/story/news/nation/2013/11/15/jeanine-graf-cancer-children/2994675/, http://www.usatoday.com/story/news/nation/2013/11/15/stanislaw-burzynski-cancer-controversy/, http://youtu.be/0U5XeSaO_QY, https://documentcloud.org/, https://documentcloud.org/documents/, https://documentcloud.org/documents/815591-abra-hall-billing-sheet.html, https://documentcloud.org/documents/815592-antineoplastons-pdq-national-cancer-institute.html, https://documentcloud.org/documents/815601-wayne-merritt-billing-sheet.html, https://documentcloud.org/documents/815608-burzynski-web-site-screen-capture-by-fda.htm, https://documentcloud.org/documents/815610-burzynski-fda-eir-20010810.htm, https://documentcloud.org/documents/815610-burzynski-fda-eir-20010810.html, https://documentcloud.org/documents/815617-informed-consent-form-given-to-abra-hall.htm, https://documentcloud.org/documents/815619-fda-letter-2012.htm, https://documentcloud.org/documents/815620-fda-restriction-letter-on-irb-2013.htm, https://documentcloud.org/documents/815621-tmb-letter-to-huntington-about-january-hearing.html, https://documentcloud.org/documents/815622-josia-web-page.html, https://documentcloud.org/documents/815627-lawrence-fisher.htm, https://documentcloud.org/documents/815634-march-2013.html, https://documentcloud.org/documents/815635-medical-board-motion-12.html, https://documentcloud.org/documents/815644-tmb-case-2010.html, https://documentcloud.org/documents/816000-acs-on-antineoplastons.htm, https://documentcloud.org/documents/816001-centerwatch-drug-approvals-in-oncology.html, https://documentcloud.org/documents/816819-mayo-clinic-1999-report.html, https://documentcloud.org/documents/816837-national-cancer-institute.htm, https://documentcloud.org/documents/817439-burzynski-sec-annual-filing-may-2013.htm, https://documentcloud.org/documents/817439-burzynski-sec-annual-filing-may-2013.html, https://documentcloud.org/documents/817441-fda-march-inspection-of-burzynski-principal.htm, https://documentcloud.org/documents/817441-fda-march-inspection-of-burzynski-principal.html, https://documentcloud.org/documents/817673-burzynski-response-to-fda-483-inspection.html, https://documentcloud.org/documents/817674-burzynski-responses-to-overdoses.html, https://documentcloud.org/documents/817798-the-antineoplaston-anomaly-from-the-cancer-letter.htm, https://documentcloud.org/documents/818424-antineoplastons-pdq-national-cancer-institute.htm, https://www.documentcloud.org/, https://www.documentcloud.org/documents/, https://www.documentcloud.org/documents/815591-abra-hall-billing-sheet.html, https://www.documentcloud.org/documents/815592-antineoplastons-pdq-national-cancer-institute.html, https://www.documentcloud.org/documents/815601-wayne-merritt-billing-sheet.html, https://www.documentcloud.org/documents/815603-2002-fda-letter-to-burzynski.htm, https://www.documentcloud.org/documents/815608-burzynski-web-site-screen-capture-by-fda.htm, https://www.documentcloud.org/documents/815610-burzynski-fda-eir-20010810.htm, https://www.documentcloud.org/documents/815610-burzynski-fda-eir-20010810.html, https://www.documentcloud.org/documents/815617-informed-consent-form-given-to-abra-hall.htm, https://www.documentcloud.org/documents/815619-fda-letter-2012.htm, https://www.documentcloud.org/documents/815620-fda-restriction-letter-on-irb-2013.htm, https://www.documentcloud.org/documents/815621-tmb-letter-to-huntington-about-january-hearing.html, https://www.documentcloud.org/documents/815622-josia-web-page.html, https://www.documentcloud.org/documents/815627-lawrence-fisher.htm, https://www.documentcloud.org/documents/815634-march-2013.html, https://www.documentcloud.org/documents/815635-medical-board-motion-12.html, https://www.documentcloud.org/documents/815644-tmb-case-2010.html, https://www.documentcloud.org/documents/816000-acs-on-antineoplastons.htm, https://www.documentcloud.org/documents/816000-acs-on-antineoplastons.htm https://documentcloud.org/documents/816000-acs-on-antineoplastons.htm, https://www.documentcloud.org/documents/816001-centerwatch-drug-approvals-in-oncology.html, https://www.documentcloud.org/documents/816819-mayo-clinic-1999-report.html, https://www.documentcloud.org/documents/816837-national-cancer-institute.htm, https://www.documentcloud.org/documents/817439-burzynski-sec-annual-filing-may-2013.htm, https://www.documentcloud.org/documents/817439-burzynski-sec-annual-filing-may-2013.html, https://www.documentcloud.org/documents/817440-federal-criminal-suit.html, https://www.documentcloud.org/documents/817441-fda-march-inspection-of-burzynski-principal.htm, https://www.documentcloud.org/documents/817441-fda-march-inspection-of-burzynski-principal.html, https://www.documentcloud.org/documents/817673-burzynski-response-to-fda-483-inspection.html, https://www.documentcloud.org/documents/817674-burzynski-responses-to-overdoses.html, https://www.documentcloud.org/documents/817798-the-antineoplaston-anomaly-from-the-cancer-letter.htm, https://www.documentcloud.org/documents/818424-antineoplastons-pdq-national-cancer-institute.htm, Hypernatremia, indicates, indicted, Indicted https://documentcloud.org/documents/817440-federal-criminal-suit.html, individuals, informed, inspection, inspections, insurance, Intensive, irresponsible, January, keeps, least, license, Liz Szabo, local, makes, meals, means, medical, medicine, meets, million, money after cancer treatments (USA TODAY NEWS, money after cancer treatments", movie, NATION, NCI, NDA, nearly, needs, never, notes, Nowhere, obviously, Odor, often, OPEN, original, Overdose, overdoses, own, paid, Partial, patient, patients, people, percent, personal, phenomena, phenomenon, physician, policies, population, premiums, privileges, problem, problems, protection, RCT, reader, readership, reasons, records, refuse, related, report, represent, Response, resulting, Richard Jaffe, ride, rooms, Sarcasm, SEC, seen, segment, serious, somehow, spending, SRB, stayed, struggle, supposed, survive, thankfully, their, them, they, track, training, treat, treated, Treating, treats, trip, Twitter, typically, unable, Unanticipated, unlucky, unpaid, unresponsive, USA TODAY) | Didymus Judas Thomas' Hipocritical Oath Blog https://stanislawrajmundburzynski.wordpress.com/2013/11/17/httpwww-usatoday-comstorynewsnation20131115jeanine-graf-cancer-children2994675/", USA TODAY) | Didymus Judas Thomas' Hipocritical Oath Blog", USA TODAY)", visiting, write, written, Yellow Journalism by didymusjudasthomas. Bookmark the permalink.